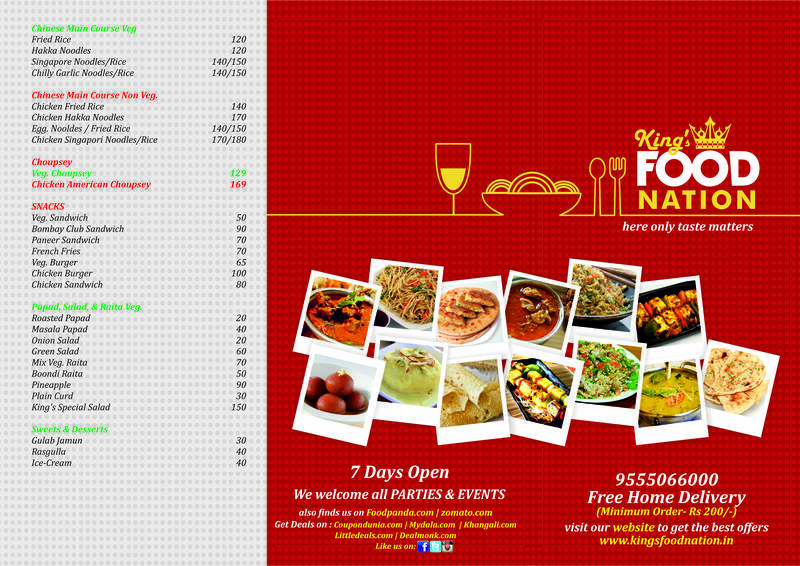 Kings Foodnation is one of the most acclaimed and Multicuisine Restaurant in Indirapuram, Ghaziabad. We are offering the innovative choice of Vegetarian Food, Afghani Food and other Delicious Food at our Vegetarian Restaurant. We offer you the perfectly grilled dishes with our special catering service to make your experience more delectable. We also give unconditional Home service at our Home Delivery Restaurant. Tasty food at our Dining Restaurant will surely tease your taste buds at any kind of celebration. Our Fully Ac Restaurant will let you to enjoy the most of your gatherings like Birthday Party, Kitty Party or any other occasion. It’s the perfect place to spend Happy Hours with your family. 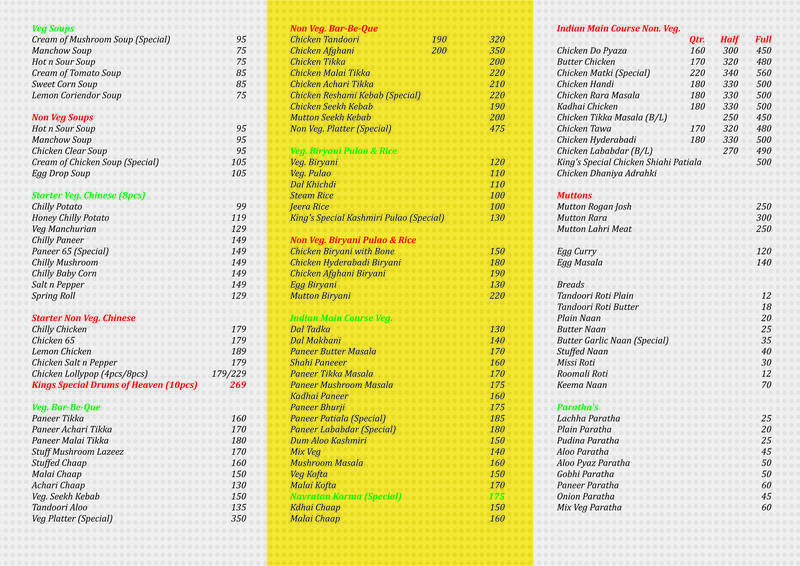 We offer you various Food Deals, Discounts and Offers which lets you to enjoy each cuisine at the best place for dining. Visit Kings Foodnation - Family Restaurant and make your evening memorable with our awesome ambience and specialized servings.